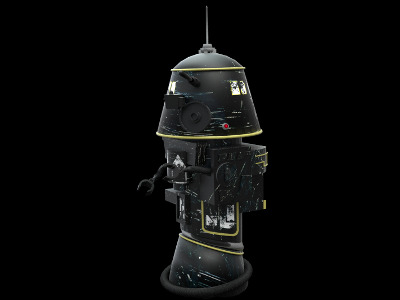 The first model in the R-series of astromech droids was also the first droid to target capital ships. Previously, owners had claimed that their crew worked better than "just another droid," but many were pleasantly surprised by the R1 droid. To save on the already high R&D costs, the designers used the jet black body of discontinued Mark II labour drone models. The dense shielding on this body protects the droid from the highest levels of radiation and even pressure and temperature extremes, allowing the droid to operate under the most intense conditions. The centre of the R1's design is the Intellex III computer brain, which contains an intensive catalog of hundreds of starship configurations. The R1 was also the first astromech to calculate navigational coordinates for a single hyper jump; previously it had to be done manually. This computer core was later used in the Cloakshape fighters due to its high efficiency. The R1 is so sophisticated that it can be left to pilot the capital ship on its own until it reached its destination, even if the pilot needs to enter another ship docked within. While it is highly sophisticated, many owners complained about the R1's large, cumbersome height of 2m, their stubborn personality and their unreliable methods of movement. 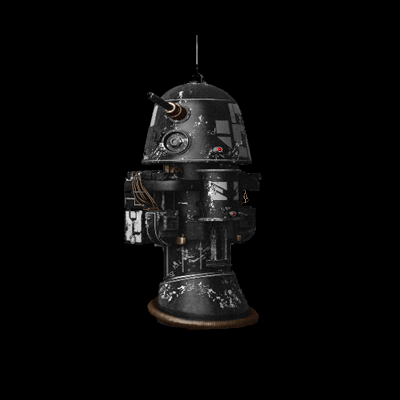 And although the droid is fairly expensive to manufacture due to its complex stabilizer system allowing it to operate even when a ship loses pressure, the R1's cobbled together design also gave the impression of unsophisticated technology, which initially drove away many potential buyers. The designers later addressed these issues when making the R2 series to make sure they did not make the same mistakes twice.